he Drobo 8D comes with the Drobo Accelerator Bay, and also, this is the only Drobo device that has the brand new and IVM or Intelligent Volume Management technology. Today, we are going to talk about this storage device from Drobo, and we’ll check out if it’s something really worth investing in, and if it’s something that performs and functions just as excellently as what Drobo claims it to be. Let’s start off by checking what’s inside the box. The entrance or opening panel of the Drobo 8D sports a clean and simple design that you might end up looking past it. But once you switch on the device, green lights will appear which add a bit more style to the device. This area is a rectangular magnetized panel that is properly ventilated on all edges; plus, there are also option slots for LEDs that are positioned inside. The Drobo 8D sports a really sleek and glossy design and the company has actually been sporting this specific style for more than a decade. Each of the featured bays displays LED lights without being too complicated with its layout. Let us begin with the rear portion first, since this area is where the most dramatic and big changes have occurred. If you’re familiar with the Drobo products, you will notice that they have always sported the same appearance, up front; and the most vital aspect of this area is the pair of Thunderbolt 3 ports that are present. These are generally 40-Gbps ports that can daisy chain 4k monitors. The device comes with one 20Gbps Thunderbolt 3 cable which is necessary for ~ 1.5 GB/s of data throughput. While this specific cable offers a good margin that is higher than the expected ~ 1.1 GB/s, its display passthrough will most likely need an increased bandwidth cable on each side of the Drobo 8D. Also at the rear portion, you will find the 2.5-inch SSD accelerator bay; and because it is a single bay without redundancy, the SSD only works as a read cache that mainly aids with the random read performance. When getting deeper into the Drobo 8D, you will find a 1.6 GHz quad core Marvell ARM CPU which is generally more than capable of shifting bits around at adequate speed. It’s also worth noting that the huge form factor of this 8-bay unit allows the utilization of an internal power supply. The Thunderbolt 3 ports can also feed 15 Watts back to the linked system, specifically your laptop. It isn’t enough to fast charge, but it’s good enough to keep the charge level which is good anyway. Aside from the performance of this device, the big and notable change is an enhanced Drobo volume format supporting the max volume size of 128 Terabytes. Large volume sizes are vital here since Drobo prefers setting provisioned volumes that are as large as possible. This is so adding capacity and drives don’t require any further changes at an OS level. Designed using the award-winning BeyondRAID technology, the 8D is able to protect all of your important data against dual or single disk drive failures. You can add drives, hot-swap, and update these in real time for proper storage expansion without any downtime. If you’re low on space, the lights in front of the device guide you. You just need to add a drive on one of the empty bays, or simply remove the smaller drive and replace it with a bigger one. In addition to this, Smart Volumes automatically use the necessary capacity from a common storage pool; plus, these are also thinly-provisioned volumes. This technology from Drobo solves the essential issues that classic RAID can’t. Established on the foundation of the older RAID, BeyondRAID includes a layer of virtualization that selects the right protection algorithm according to the availability of data needs at any given time. Since the technology functions at a block level, it is able to write blocks of data and information that alternates between the RAID levels of protection. What’s interesting about this feature is that BeyondRAID can also switch from one dual disk redundancy via the Drobo Dashboard. This guarantees an enterprise-level data protection whenever you need this. If your drive fails, Drobo will immediately re-layout your information and data to the remaining drives. After, it will be returned to a protected state without any user interaction needed. DroboCare is more than just your regular hardware warranty since it gives you more security and peace of mind. If there is an issue that occurs, the company will immediately provide you with a replacement device and even pay for the shipping fee, both ways. Another nice thing about DroboCare is that phone support is available, 24/7. Their services and assistance will begin once you purchase then activate the DroboCare. The products from Drobo are all engineered with the highest standards, but of course, there are instances when things go wrong. This is when the DroboCare kicks into gear. Unlike your regular type of warranty, DroboCare will replace your failed unit in a snap, so you will receive it in just a couple of days. If you ever purchase a new product from Drobo, the company provides you with migration assistance from older Drobo products while still being covered by the 90-day DroboCare. Extended migration help is also given to users who purchase a one-year support plan from the company. As part of DroboCare, you will be given adequate assistance when it comes to transferring data once problems occur. The company will send you a Migration Kit so you can safely relocate and transfer your data while Drobo works on restoring your device. The Migration Kit that they will provide consists of the Drobo that is filled with cables and HDDs for connectivity. DroboCare is available for any Drobo devices as long as they are covered under the regular warranty. Just add DroboCare to the standard warranty before its expiration date, and you can sit back, relax, and know that you’ll always have genuine protection from the date you purchased your device. Drobo has partnered with Drive Savers to give all of your Drobo storage devices with a free 1st 90-day Data Recovery Plan just in case you encounter accidental file or data loss. 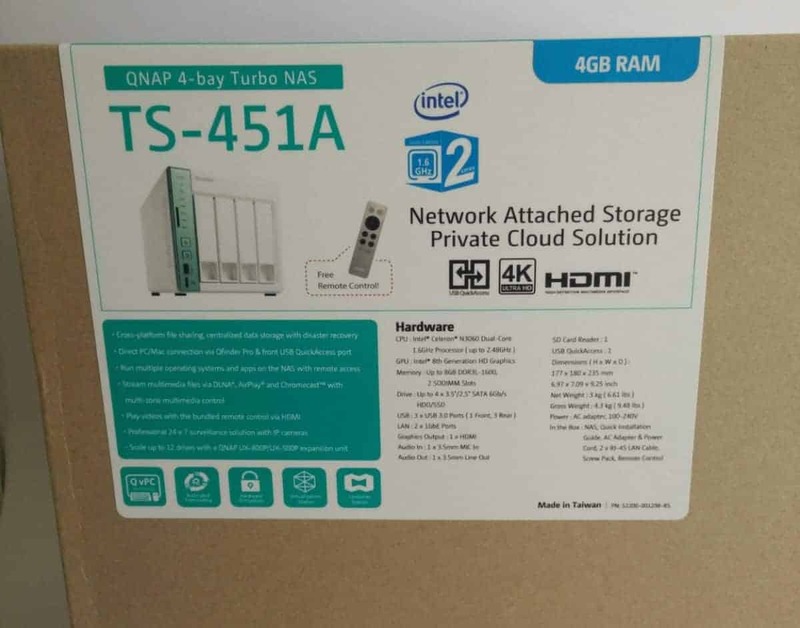 It will keep you prepared at all times from sudden occurrences of floods, fire, or multiple hardware issues and failures if ever dual-disk redundancy was not chosen. You just need to sign up at www.driversavers.com/drobo within 15 days of your purchase of the Drobo 8D then you’re all set. A lot of storage arrays utilize either all SSDs or hard drives. But with the Drobo 8D, it is able to provide you with the best of both worlds. This is possibly by properly combining hard drives and SSDs to provide you and every user with performance and capacity. The Drobo 8D also gives you the option to implement Hot Data Caching via the Drobo Accelerator Bay which can be found on the rear slot. Making use of an SSD gives you access to the latest read data to give you extremely fast speed. It improves the performance of different applications like Adobe Lightroom and even Final Cut from Apple. The SSDs can also be used for the Drobo 8D’s front bays to get Data-Aware Tiering that allows for transactional data to shift to the SSD. This guarantees that both the write and reads are boosted. The storage array of Drobo 8D provides extremely fast Thunderbolt 3 connections that is not only fast, but is also backwards compatible. It boosts your performance especially when transfering huge volumes of data; and with dual ports, the Drobo 8D is able to link up to a total of 6 Thunderbolt devices or even 5 different devices, plus a monitor right at the end of the chain. Additionally, it also supports one 5k or even two 4k displays with the Thunderbolt dock. In addition to the protection for drive failure, Drobo also safeguards against possible data loss during instances like a power outage. For every device produced by Drobo, they include the battery-backup technology for protecting date in the cache or memory. When there’s a sudden power disruption, the Drobo 8D moves any data that is in-flight to the onboard flash that is located in your device. This is to protect then move data to your disk drives once you have power restored. This does not only guarantee that all important files and information are safe, but your battery also automatically recharges itself and is made to last for the life of the Drobo 8D. The Time Machine from Apple was designed for making backing up files a quick, simple and painless task. Pairing the Time Machine with your Drobo 8D improves data protection by making sure that all information is safe when accidental hard drive failures occur. The guidelines of Apple are setting up the storage space for Time Machine at 2x the size of Mac’s hard drive. Users of Time Machine know that it will eventually utilize all available disk space without having an easy and convenient way of stopping it. With Drobo 8D, you will be able to control and manage the maximum storage space that is available for the Time Machine backups via the Drobo Dashboard. Once you install the Drobo, the dashboard will prompt to see if you prefer creating a dedicated storage volume for Time Machine, letting you set the number of this volume. For the Drobo 8D’s connectivity, there are two Thunderbolt 3 ports that are available where the second port is made specifically for daisy chaining Thunderbolt devices. This includes a 5k or two 4k displays. When it comes to the expansions and drives, it is able to accommodate up to eight 3.5-inch SATA hard disk drives or even SSDs (solid state drives) which are sold separately. The Drobo 8D features a 2.5-inch SSD found in the Drobo Accelerator Bay which is necessary for increased and improved performance. Again, this is sold separately. Another great thing about this device is that the drives from any manufacturer, spindle speed, capacity, and / or cache can be utilized; plus, you also don’t need any tools or carriers for this. Lastly, the Drobo 8D is expandable simply by adding hot-swapping drives or standard drives with the bigger ones. If you’re unsure about this, you can conveniently use the company’s Capacity Calculator found on their official site. This is to help you estimate and determine the available storage in different configurations. We noticed that Drobo has bounced about quite a bit for the past five years, but one thing remains true and the same – quality, which is something that the new Drobo 8D can be really proud of. With this all new platform, we got a combination of plastic bits on the ends and a metal chassis which is really great. So we’re really loving the exterior so that’s a thumbs up for the Drobo 8D. Another nice aspect of the device is its front drive panel which is attached magnetically, allowing anyone who prefers a refined and sleek aesthetic to just run with it. Also, it’s great for those who opt for something that’s more industrial to leave within the box. When we talk about the real speed, we were getting around 781 MB/s read which was fantastic and as for the write speed we were getting around 387 MB/s. Anyway, we were able to experience the impressive speeds that the Drobo 8D has to offer; plus, it also provided enhanced speeds, as well as bigger volume support that is coupled with proven robustness and simplicity. The impressive features are all tempered by the Thunderbolt 3 support but it only currently exists on the Mac which would have been better if it were also present on Windows. o even with minor changes such as the integration of intelligent volume management, as well as app caching stays snappy and quick throughout the menus; plus, it is also easy and seamless to navigate to get all your tasks done. So overall, the Drobo 8D was a real great performer and everything went smoothly, seamlessly, and we didn’t encounter any issues with it. This is a great device for anyone who needs additional space for their business or personal needs so with that, we highly recommend this Drobo 8D storage device to you. The Drobo Dashboard is the latest management application of the company that lets you acquire status on, as well as configure each one of your Drobos in a single window. The Drobo Dashboard instantly discovers the available Drobos on your network so you can easily click through for status, capacity, and other important information. If you’re using the newest version, then you will be able to see that the Drobo Copy task is now running in the background, and you’ll be able to construct email alerts to better and efficiently monitor your Drobos. When speaking of the interface, it hasn’t really changed all too much over the past years; so when you launch the Drobo Dashboard, it will display all the connected Drobos to your PC; also, it scans your network for iSCSI Drobos and file sharing. The Drobo’s front panel is the main user interface while the Drobo Dashboard allows you to see in front panel, every Drobo that you have from a remote location. Once your unit is detected, it will appear right in the center, and on the left portion, you will be able to navigate through the settings. When you check that side panel, you will have the 8D’s status there. For starters, when utilizing your Mac to access the Drobo 8D, you can simply utilize the software to do more tasks than just access your folders and files. You can utilize this to monitor and manage general storage, power use, system values, control hardware applications, as well as establish bespoke properties and notifications. You can choose to set it up in your Mac Disk Utility application to turn this into a brainless storage drive that manages its own RAID. However, you will surely get a whole lot more out of the Drobo 8D because of its helpful and intuitive dashboard interface that can somehow be compared to the ones found on the Netgear and WD NAS software. What’s new to the product line of Drobo is their IVM or Intelligent Volume Management technology which is present on the Drobo 8D. The technology is a combination of flexible manual volume setup with the ease and convenience of the company’s legendary automation. This allows for the proper segregation of file systems as the customer needs have dictated. The Drobo 8D allows for the establishment of up to a total of 16 volumes with a maximum volume size of 128 Terabytes, plus a 256 Terabyte for the storage pool. Yet these volumes need to live on a dependable and efficient RAID-protected storage pool; now, this is where the the Beyond Raid from Drobo comes in. In the tools menu, you will be able to shutdown, rename, or even restart the unit. Below, you can format the drives or reset it along with flipping the device into dual-redundancy mode. Another great feature of the software is that it features helpful tips and directions on each of the screen, so they are available to you whenever you need them. You will also get to access documentations and information; plus, you can also register your device from within the Drobo Dashboard. And if you ever need it, you will be able to make a diagnostic file to resolve various issues with the support team of Drobo. We made it clear that although this is a brand that rarely releases units, basically 5 to 10 years apart in some instances, it’s a very solid and reliable company that is able to provide excellent and high quality products when it does. Drobo has a business model that is outstandingly rigid, and in all honesty, this Drobo 8D is one product that is just that. Honestly, it’s really difficult to fault this device since it remarkably stands out well from all its competition. So if you are in search for a powerful, fast, easy, customizable, and affordable storage device with integrated RAID, then we have to suggest the Drobo 8D to you. You can purchase the Drobo 8D from a variety of authorized dealers around the world. Check out Drobo’s store locator to see all the stores where you can buy this product.